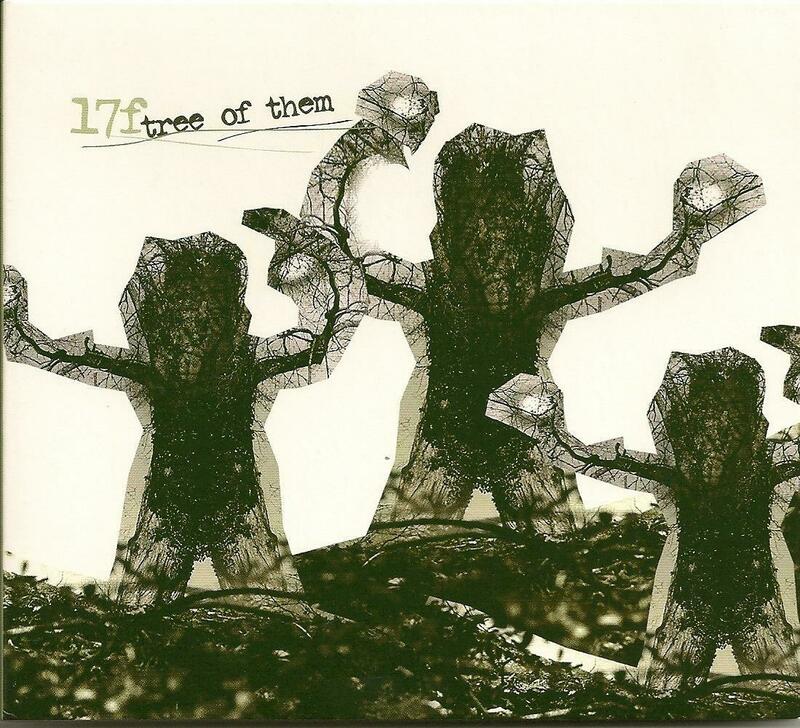 17f - "Tree Of Them"
17f is the name of a project by Frederick Merk, a self-educated minimalist musician from Switzerland. LE SEXE FAIBLE: First comes the piano and then a flute and then another flute? Now a drum. Sounds pretty great... now the big rolling rock drum that conjurs early Pink Floyd. Cymbal crashes and the song has gone crazy. Very intense and uptempo, Wow!!! LE NAIN II: Effected piano, now big (experimental) rock sound, very lovely intense original uncategorizable music. Some strange high pitched pre-recorded vocal sampled from the movie "Beautiful". I don't understand the language, Swiss?!? FOR A WHILE: Contemplative piano intro then something that sounds almost like a theremin but I don't see it in the credits. Now the sung vocal with lyrics in English... some tabla... for me this is not as interesting as the first two tracks. I was just gonna say how the vocals are so-so but my wife just started saying how much she likes them! The press release says, "Impressionistic, tense and captivating, playing with the lingering and cold feel of the Northern countries, following the river jazz at times, titillating the progressive and psychedelic music of the 70's, sometimes shrilly, sometimes noisy and provocative. The dramatic and introspective atmosphere is either appealing or disturbing. Quietness is marked with violence, sadness is filled with hope". RECEIPT: Some more Pink Floyd keyboard dronishness along with modern drum machine!?!... synth twitters... some female spoken word that really reminds me of the awesome Brainticket!!! Changes gears into drum solo with someone screaming in the background, pretty badass!!! Sounds very 60's!!!! RACINE: Seems that every song opens with piano; but along with drones and flute for this one! The short one, very nice. AIGA: Simple quiet drum with drones. The male vocal again. Sounds very early 70's Prog, a very Genesis vocal (Gabriel, not the other guy). I keep thinkin' they're gonna break into "The Knife". The music itself is very subdued, not very Genesis-like, at 4:15 starts rockin' abit with the sax, but then the sax starts to sound too fern bar-ish (do they have Fern Bars in Switzerland?!?!). Now some male spoken vocal that seems to take away, unfortunately kinda adds to the 70's fern bar vibe! Like that band called Big John Trio that was playin' too loud while you were tryin' to order Harvey Wallbangers in 1977 to get yer date "Bunny" liquored up but she said she had to go home because she had to get up early 'cause the guy that cleans the shag carpet was comin' over early that next morning!! At 14 minutes and 58 seconds it's still goin' strong!?!? ANGEL: Goes into the last track with some weird whistlin' sounds and the big acoustic guitar strum, then the girl (guy?) vocals with theremin in the background, pretty damn cool. Doesn't sound very 2011, maybe 1973 or 1793?. Another short one and it's over.